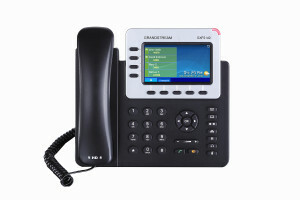 Grandstream phones are compatible with Plantronics headsets. 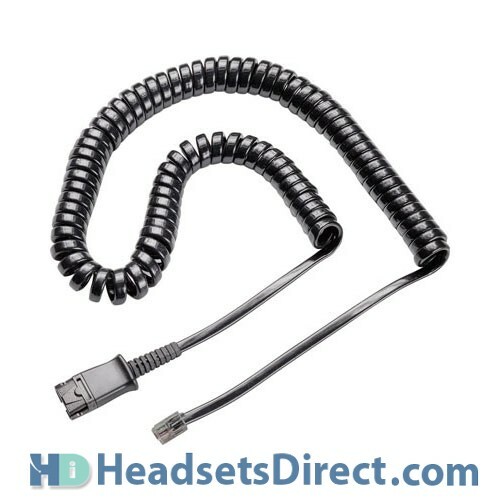 Question: We were told that we need cable #38099-01 to connect our Plantronics H-series headsets to the new Grandstream GXP2124 phones we just had installed. With our old phones we were using Polaris cables. Why can’t we use them? Answer: To begin with, remember that phones are not all created equal. Internal electronics of each brand often does not allow for attachments (e.g. cables) to be interchangeable. That being said, there is good news with regards to your Grandstream GXP2124 phones. First, if you are starting with new headsets, then cable #38099-01 is what Plantronics recommends for attaching your headset to the phone. It’s a clean simple connection, and no other accessory is required. But if, like in your case, you already have the Polaris cables from a previous installation, there is an adapter cable (#85638-01) that you can use to attach your headset/cable to the Grandstream GXP2124. Cable #85638-01 has been field-tested and proven to be a cost-effective way to utilize your existing Polaris cables. This “fix” will also work on other Grandstream models, such as GXP2200, 2140 and 1400. However, even within brands there are always exceptions, so if you have questions about these or any other phones and what headsets work with them, call us at 800-914-7996, we have answers.